Musea Oudewater | Bekijk hier welke musea Oudewater te bieden heeft! Many centuries ago Oudewater was internationally known as the only place in Europe where women accused of sorcery could go for an honest verdict. In practice, not a single person has been condemned of proven sorcery in Oudewater. Visit de museum ‘De Heksenwaag’ to see, hear and read all about it. 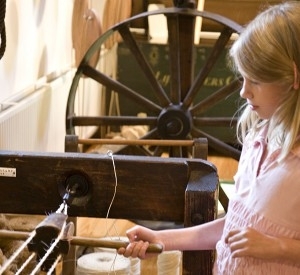 The museum of old skills and tools shows the history of craftsmanship. On the attic of the old townhall you will find the Citymuseum Oudewater. It offers the visitor three nice expositions. Twining rope once was the basis of the prosperity of Oudewater. A major part of the population walked the streets with thick bundles of yellow hemp fibres on their belly. Hence the nickname of Oudewater-bon people is ‘Geelbuiken’ (= yellow bellies). You will all experience it in the Rope museum.